Tag line: "The Nightmare Continues October 10th..."
Following in the footsteps of 1981’s Halloween II, director Mats Stenberg’s Cold Prey II, a sequel to 2006’s Cold Prey, picks up almost immediately where the original left off. 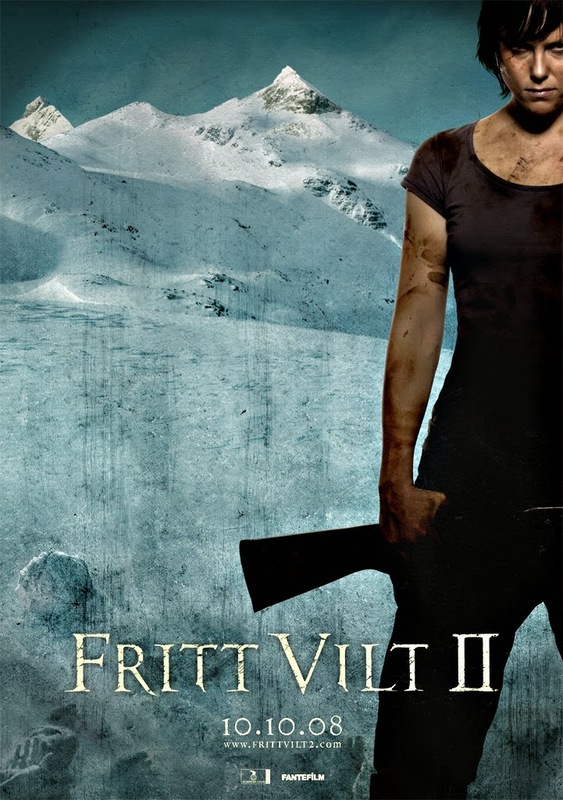 Having survived the massacre at the ski lodge, Jannicke (Ingrid Bolsø Berdal) is found wandering along an abandoned road, covered in blood and carrying a pick axe. She’s taken to the local hospital, where she tells the authorities the terrifying tale of what happened to her and her friends. While investigating her story, the police locate the bodies of Jannicke’s friends, as well as that of their killer (Rune Melby), all of whom are transported to the hospital so that autopsies can be performed on their remains. But as Jannicke is trying to come to terms with the horror of it all, the hospital staff, which includes doctor-in-training Camilla (Marthe Snorresdotter Rovik), makes a startling discovery while examining the bodies, kicking off yet another night of murder and mayhem. Cold Prey II is an interesting mix, a strong continuation of the original film that also takes the story in a different direction. Whereas Cold Prey relied as much on the elements, as well as the isolation of its main characters, to build a suspenseful tale, Cold Prey II puts the focus squarely on the killer himself. And just like in the first movie, he’s a force to be reckoned with, a cold-blooded murderer who uses anything at his disposal to finish his victims off (in a particularly grisly scene, he attacks one character with a fire extinguisher). Cold Prey II even gives the audience a little background info on the killer, attempting to explain what it is that drives him to commit these murders (a local doctor tells a chilling story of what transpired the day the killer was born). Featuring some incredibly tense scenes set inside the hospital (yet another similarity it shares with ‘81s Halloween II) and a handful of gory kills, Cold Prey II is a solid sequel, not to mention one of the finest slasher films to come along in the last 10 years. I don't understand the appeal of this tired sub-genre.